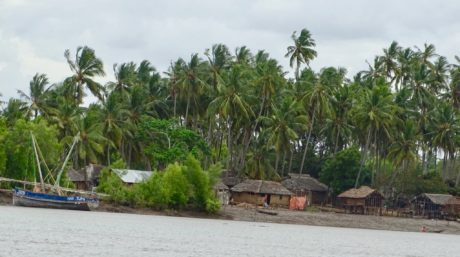 On 21st October 2018, Wetlands International Eastern Africa team won the prestigious Wetlands International team excellence award in Dubai on the eve of RamsarCOP13, for their outstanding collaboration and contribution to wetlands science, communication and conservation, within the Eastern Africa region. 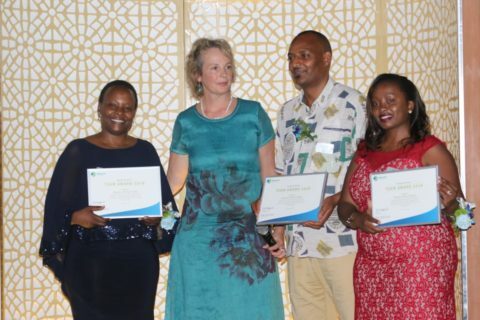 The team received this award during a special reception and networking event organised by Wetlands International that aimed to create an opportunity for its staff, members, supporters and partners to celebrate achievements, share ambitions and reflect on collaborations and partnerships. While awarding the team Wetlands International CEO Jane Madgwick applauded the team saying “We have a special niche. We focus only on wetlands and our work has never been more needed like now. The impact of what we do has an impact on people and nature. 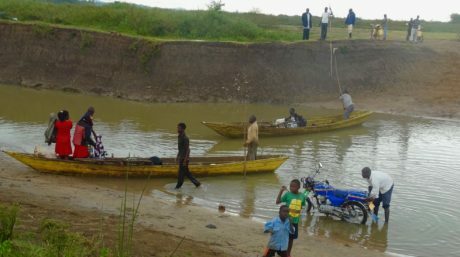 Securing our wetlands is key to adapt to climate change. As such today we recognise the Eastern Africa team for their contribution in wetlands conservation in the region. 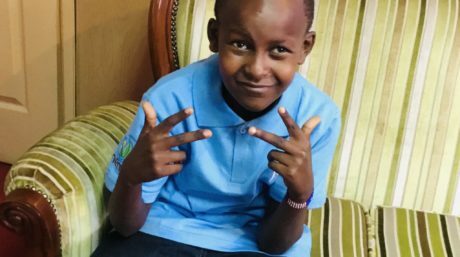 I have experienced how the team works under the leadership of their Director Julie Mulonga and regardless of it been is one of our newest team which is quite small they complement each other and are absolutely committed to the organisation ”. 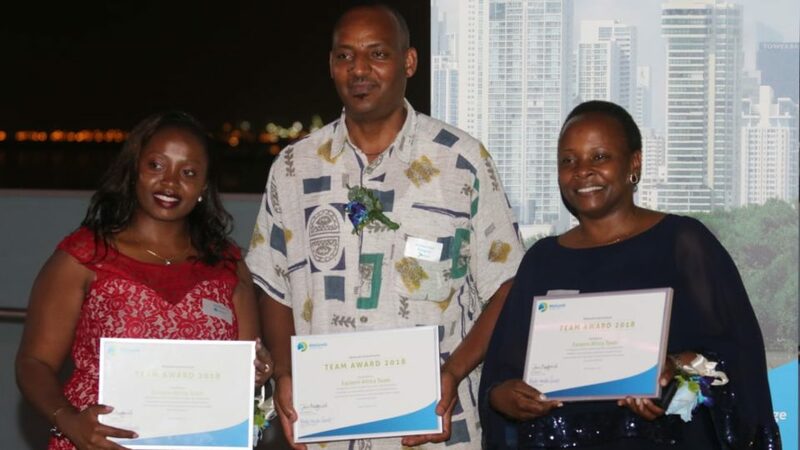 Julie Mulonga Director Eastern Africa, Amdemichael Mulugeta based in Ethiopia and Joy Kivata based in the Kenya office received the award on behalf of the team. 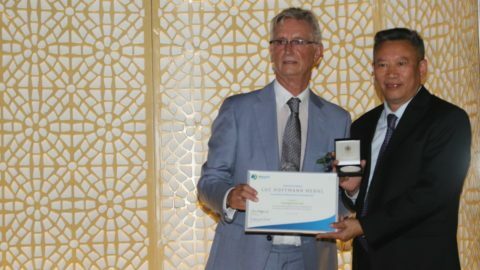 Prof. Dr. Guangchun also won the prestigious Luc Hoffmann medal for the staff excellence award in wetlands science and conservation. He was acknowledged for a significant role in the advancement and dissemination of knowledge on wetlands and raising awareness about wetlands management in china. Launched in 2004, Wetlands International Luc Hoffmann Medal for Wetland Science and Conservation award is presented every three years in honour of the late Dr. Luc Hoffmann, one of the founders of Wetlands International. Wetlands International awards individuals who have shown outstanding leadership and accomplishment in the area of wetland research and conservation, or in sharing their passion for wetlands by raising public awareness. 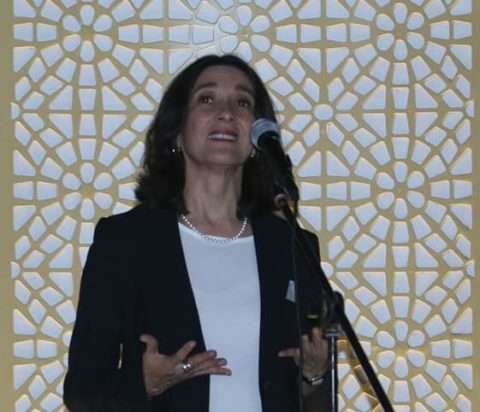 In her speech at the event, the Ramsar convention Secretary General Martha Rojas-Urrego commended Wetlands Internationals efforts in supporting and strengthening the convention by providing technical advice, creating networks, mobilising stakeholders and enabling action from the field to international policy level. “It is a real honour to be here today, to celebrate Wetlands International’s milestones. Wetlands International’s collaboration is important to the convention” she said. At the end of the event, Jane Madgwick presented a special new book on Barr Al Hikman wetland in Oman to Ms. Martha Rojas-Urrego, Secretary General of Ramsar Convention, His Excellency Fahed Mohamed Alhammadi, the Acting Assistant Undersecretary for the Green Development and Climate Change Sector, the UAE and Ms. Aziza Saud Al Adhubi from the Ministry of Environment and Climate Affairs, Oman. This book is based on a survey on the Barr Al Hikman wetland and its biodiversity conducted in 2016 and will officially be launched in Oman in the coming months. We thank you for all your continued support we could not have made it without you!